Having worked with Little Dish before & sampled some of their fantastic meals for toddlers, I was extremely excited to find they had just launched a pizza range and jumped at the chance for Noah to once again sample them. And what a treat they were. If you haven't heard of Little Dish before, they are a fantastic brand who aim their food at children because if we are honest, we don't always have time for made from scratch meals every single day, especially when we both work full time. Their meals are perfect for when I'm out and can't cook for Noah, because John isn't skilled in the food department it's nice to know that when Noah has Little Dish he really is having the best. Their meals have at least 1 of your 5 a day, as well as being low in sugar and salt. Their Pizzas went down an absolute treat with Noah, he couldn't of gobbled them quick enough. Especially their Meatballs and Veg pizza, he enjoyed picking off all the meatballs to eat first and then devoured the pizza. The pizza contained Red Peppers, Butternut Squash, Spinach and Onion, so it was crammed full of lots of vegetables - probably more than he would of got had I made a meal from scratch myself. 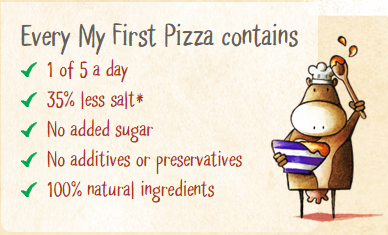 They're also the perfect size to fill a mini tummy, because I often find today Pizzas for young children are either Cheese & Tomatoe or Ham, anything a little more gourmet is for adults and as much as I'm sure Noah could manage it all, I didn't want to over face him or over fill him with a huge pizza for himself. And at just £2.50 each in our local Waitrose, I will definitely be grabbing these again. Have you ever tried anything from Little Dish?